Stroller Strength sessions are specifically designed as a post-natal fitness class for mother and baby. 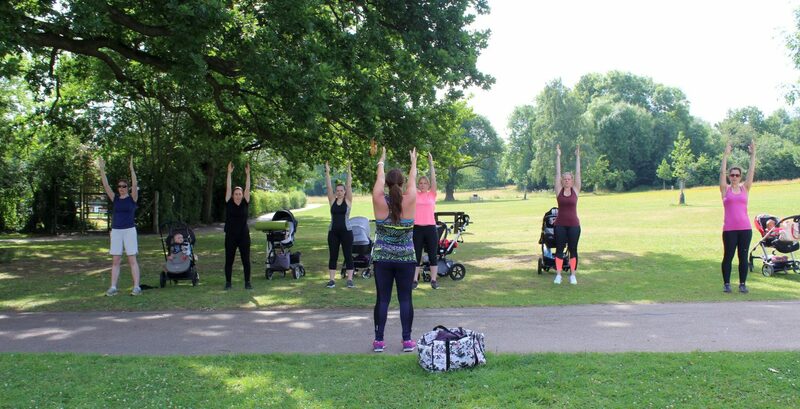 It is similar to an outdoor bootcamp but incorporates your buggy and your baby. Stroller strength sessions will develop your core strength and improve your fitness with your buggy in tow. The sessions are a variation of squats, push ups, burpees, running and competitive games. You’ll enjoy a whole body work out. Come along for a chat with other mums, bonding time with your baby and some fresh air. A qualified instructor will lead the session who understands that you’ve just had a baby; you might not have worked out during your pregnancy or are getting to grips with motherhood. Be prepared to move around and remember you will be outside so it’s best to wear warm, comfortable and supportive clothing. Stroller Strength takes place at King George Recreation Ground in Bushey.